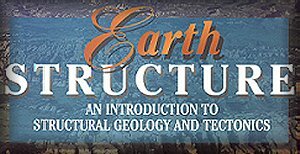 The following section is maintained under University of Michigan's course GS351/451 and is provided as an educational service to EarthStructure users. 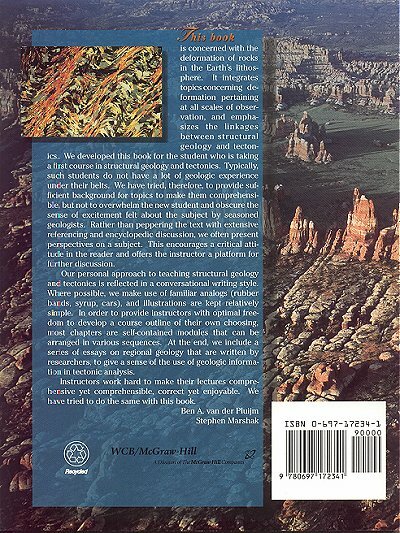 The University of Michigan nor the publisher of EarthStructure (McGraw-Hill) are responsible for the content of this site. Colleagues from around the world are thanked for generously sharing their efforts with students and educators. We have listed credits and sources where possible; please do the same when using these resources. Software StereoNett for Windows, by Johann Duyster. A program for spherical projection of directional datasets. Click here to download your copy or go to the original source at http://homepage.ruhr-uni-bochum.de/Johannes.P.Duyster/stereo/stereo1.htm where you will find updates and extra information. An alternative program is Wintek, which can be downloaded here. For a basic unzip routine, download pkunzip.exe or use any version of winzip. Stereonet for Mac, by Rick Allmendinger. A program for spherical projection of directional datasets. Go to the original source at ftp://www.geo.cornell.edu/pub/rwa/Stereonet/ where you will find the latest version of the program and other information. StressMohr for Windows, by Ulrich Kruse. This program illustrates the use of stress calculations for two-dimensional systems. The program consists of five displays. In each display you can vary the physical situation and immediately see the effects in the graphical displays. The first display illustrates the relation between forces and stresses acting on a rectangular solid. In the second display, you explore the stress on a plane as you vary the orientation of the plane and the state of stress in the system. We illustrate the calculation of the stress on the plane in terms of a simple matrix multiplication in the third display. You can also observe the simple geometry of the envelope of the stresses that are produced as the angle of the plane is varied. The fourth display shows the behavior of the normal and shear components of the stress on the plane. When the normal component is plotted along x and the shear component along y, the envelope will be a circle: called a Mohr circle. This beautiful result lets you visualize the range of possible stresses on the plane. Finally in the last display, you can explore the conditions which lead to the fracture of a sample: you can vary the stresses until the stresses are just strong enough to cause fracture by watching the changes in size and location of the Mohr circle. Click here to download the zipfile that contains the program and a MSWord version of the manual. The manual is also available online by clicking here. Strain Calculator (0<Wk<1) for W95, by Rod Holcombe. Strain Calculator presents strain data and calculations graphically and numerically. Conversions of strain ratios to stretches at a given volume change can be plotted directly onto a logarithmic strain plot (see screen shot). Shear zone parameters (ellipticity, deformed and undeformed orientations, etc.) for any shear strain value or vorticity number (Wk) are calculated and shown graphically. Please note use restrictions. AnimationsThe files represent a variety of formats, from animated GIFs to .mov. Some files are large and plug-ins may be required. Virtual Structure/Tectonics Trips On-line fieldtrips where structure/tectonics is the main course. Links may be slow and there is no local mirror. Disclaimer. 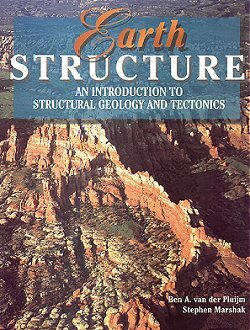 The text and illustrations on this and linked EarthStructure pages are strictly for educational purposes. All opinions expressed are the responsibility of the authors and do not represent those of publisher nor the home institutions of the authors. © van der Pluijm and Marshak, 1997-2000.